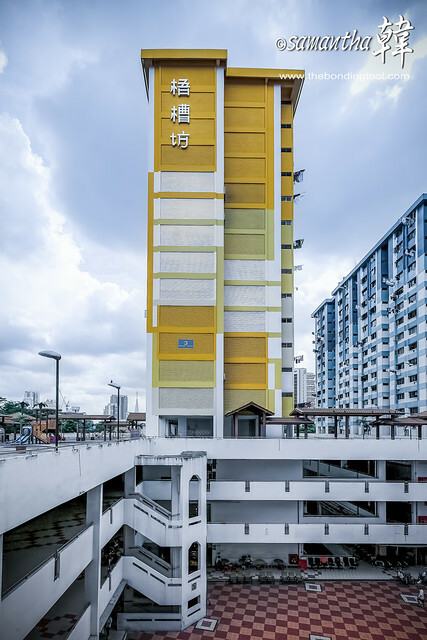 Rochor Centre (梧槽坊) is a building in Singapore built by the Housing and Development Board. 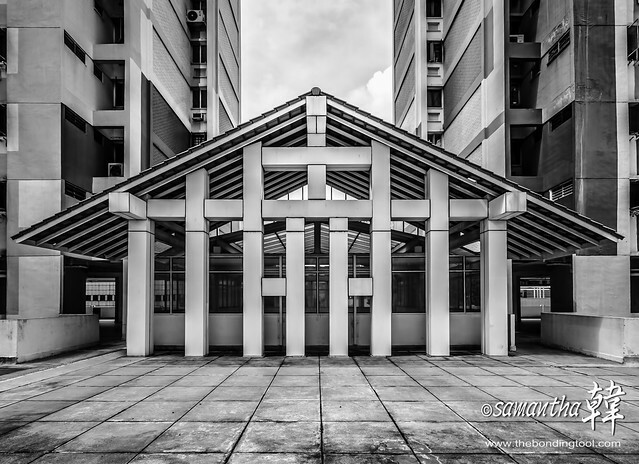 It was built and completed in 1977. 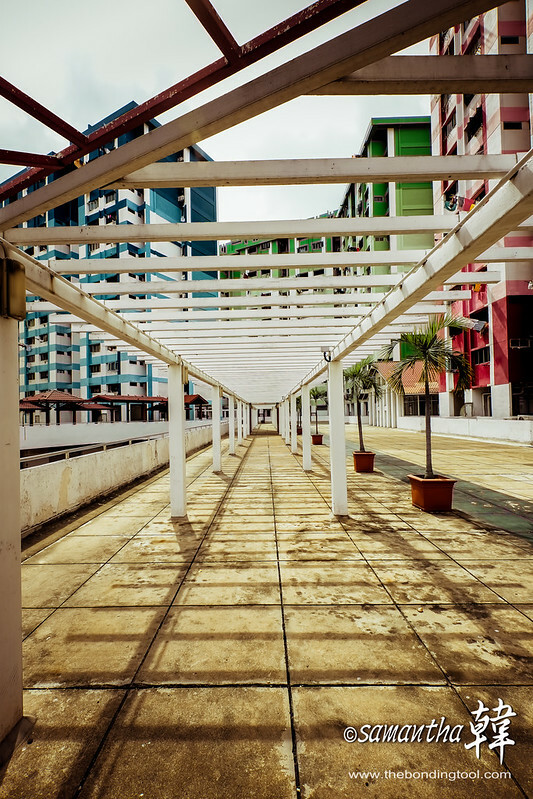 Rochor Centre is listed as a landmark to be protected by the Urban Redevelopment Authority. 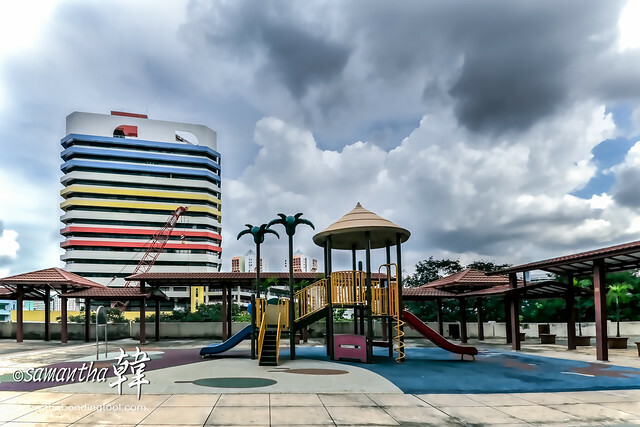 However, on 16 Nov 2011, the Land Transport Authority and Singapore Land Authority announced that Rochor Centre will be demolished to make way for the construction of the North-South Expressway by 2016. Residents and retailers will be offered relocation benefits to compensate for the change. 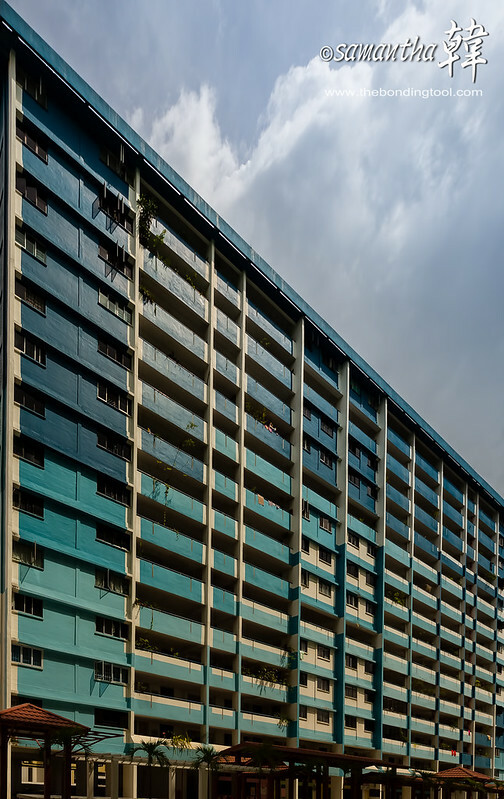 The new replacement blocks will be Kallang Trivista, located near Kallang MRT station. 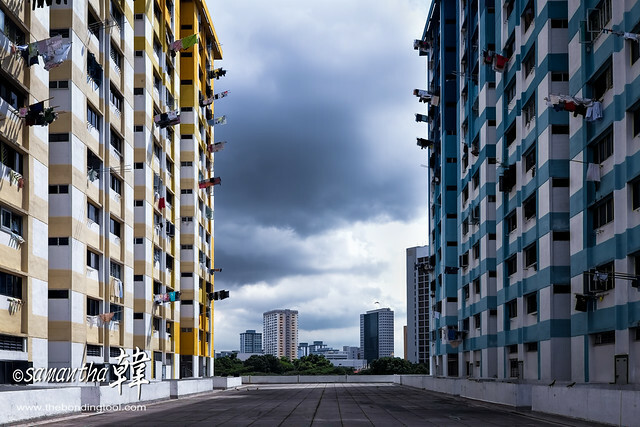 The blocks will be bounded by Upper Boon Keng Road and Lorong 1 Geylang. I imagine it must have been a coveted address when the buildings were first erected. The playground must have been new installation over the years. It seemed out of place in the “ancient” compound – too modern, I’d say. Many have already documented this soon-to-be demolished premise with proper photographs so I’m freed to edit mine according to my feelings when I visited – old, sad and surreal. 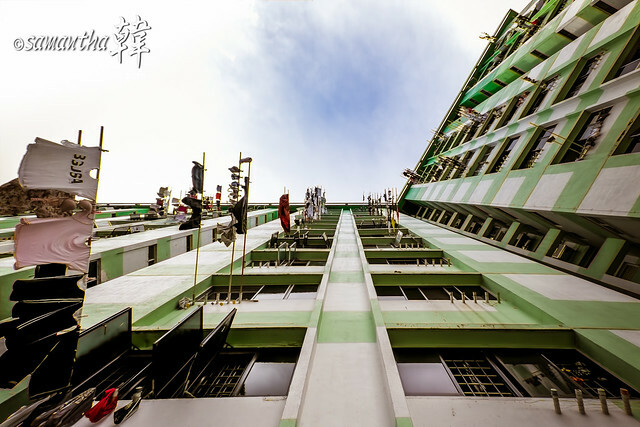 HDB flats with common corridors are thing of the past. The playground must have been a new installation over the years. These “flag bearers” will become a thing of the past, too. Most new flats do not have rubbish chutes in the apartment. One would have to bring their trash down to a common dumpster. One resident said this practice is better as no pests could immediately creep out into their home. 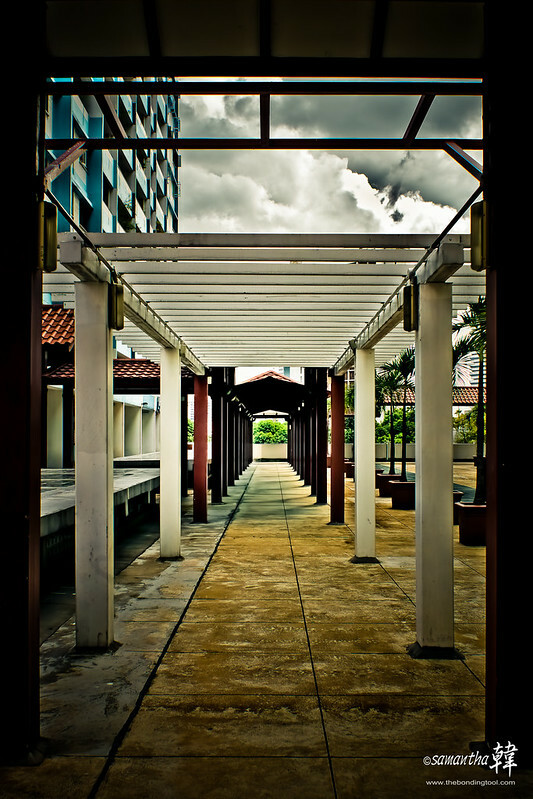 Inside my frame is Robin Choo, one of my photography kakis the day we visited. 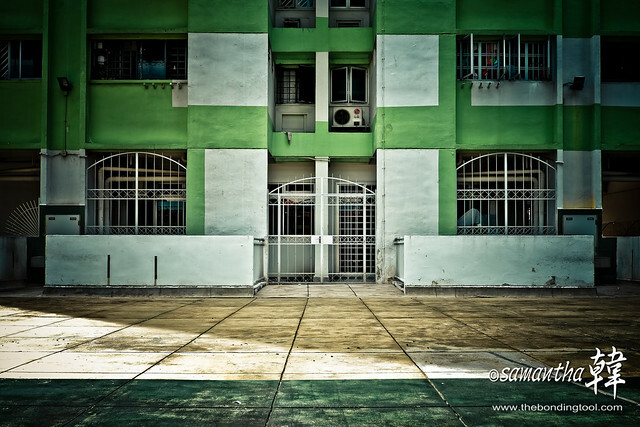 On the left of picture was where my friends had their meal of wanton mee and economic rice. That morning was hot and humid but it quickly greyed, threatening to rain. 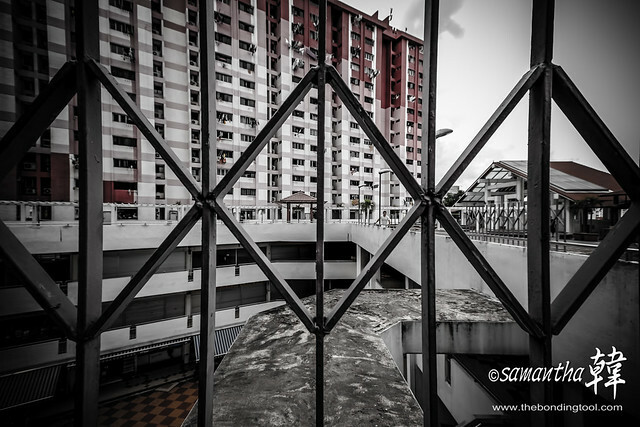 The dark clouds gathered and dampened my spirit as I roamed about the void deck of this old estate. The mood got sober and somewhat melancholy as our photography outing came to an end. 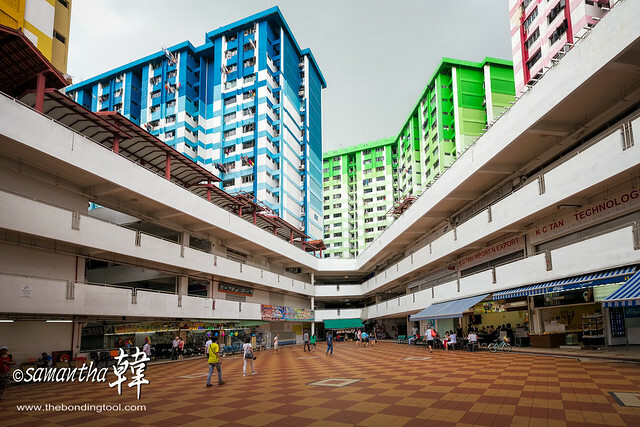 This was my first visit to Rochor Centre but I am sure I will visit again (especially to eat the famous wanton noodle from One Ton Me) before the vendors move out, with some as early as next year. Date of visit: 16th November 2014. 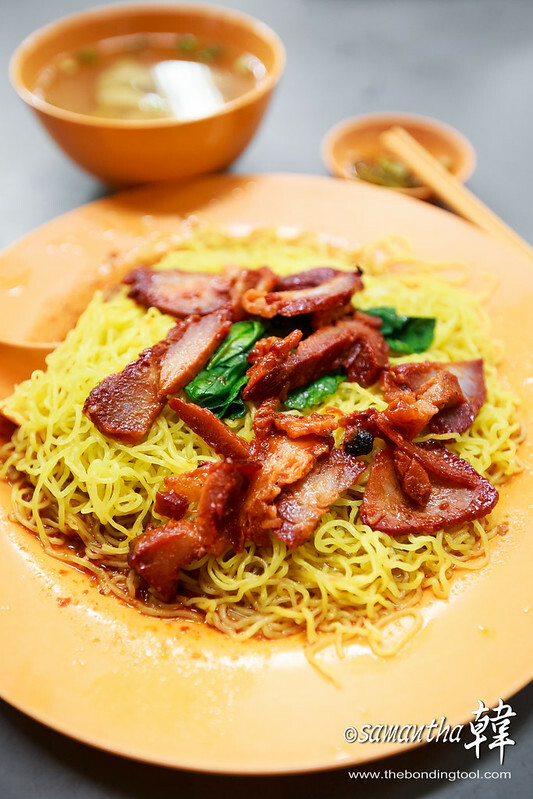 Standard serving of wanton noodle from One Ton Me. My friend, Jack, said “the noodle was good because of the chilli”. It does have that springy QQ-ness I look for in noodles. I must return! 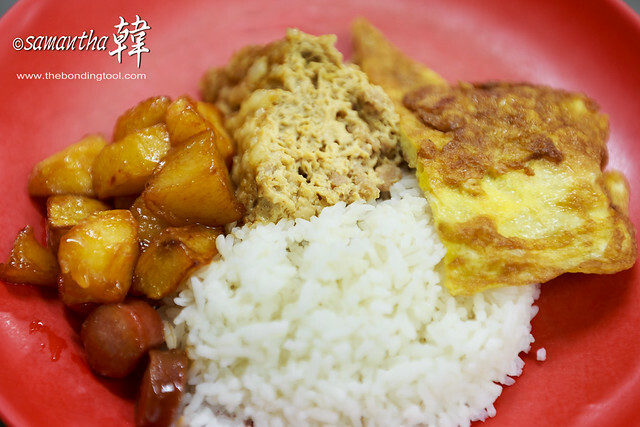 “Economy Rice, commonly referred to as chap fan or mixed rice, is thought of as a predominantly Chinese food. P.S. I had a cup of tea with my friends (while they had their lunch) before leaving to meet my cousins for brunch at The Providore at Mandarin Gallery.